The question always arises: Is there a link between hormone replacement therapy and breast cancer? In some cases it can be answered and in other cases since it is not clear, there are no definitive answers in every case. The case is clear when it comes to anyone with the BRACA genes. There is definitely a link between hormone therapy and breast cancer if you have the BRACA genes. Since the risk is high with or without hormone therapy, hormone therapy with estrogen or androgens (testosterone and DHEA) should be avoided if you have the BRCA gene. It is thought that any hormone may cause an existing cancer to grow, there is nothing in the literature that states testosterone causes cancer. However since testosterone can convert to andostrenendione, estrogen and dihydrotestosterone, a very strong androgen, there may be a link in giving testosterone hormone therapy and breast cancer spread. DHEA is the most abundant hormone in the body. It can be converted into testosterone, androstenendione and other androgens. It was found that androstenendione levels were higher in women with breast cancer that has spread to the lymph nodes. Therefore, there may be a link between DHEA hormone therapy and breast cancer spread if it already exists. No evidence exists that is causes breast cancer, however if you have it, DHEA may allow it to spread and should be avoided. The Women’s Health Initiative was a large scale study. This study has been looked at from many angles. A revelation was that women on estrogen alone did not have a statistically significant increased risk of breast cancer. While it may not be indicated to give estrogen if someone has an active case or history of breast cancer, women taking estrogen can have some comfort that there is little risk of estrogen hormone therapy and breast cancer. Synthetic progesterone is supposed to be called progestin. However much of the media does not distinguish between natural, bioidentical progesterone which is the same chemical structure as the progesterone every woman makes in their own body with the synthetic form that is biochemically different. Progestin has been linked to an increased risk of breast cancer. However, natural bioidentical progesterone has been shown to kill breast cancer cells and prevent their growth. Hormone therapy with progesterone may actually decrease the risk of breast cancer. Since most of the trials were observational, more definitive studies are necessary. 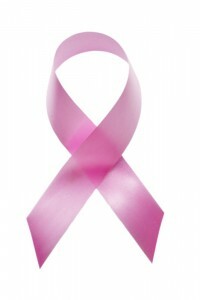 Keep in mind women on hormones can develop breast cancer and women who are not on hormones can develop breast cancer. Your lifestyle can turn genes on or off. The best prevention is to live a healthy life by eating a more plant based diet, lower saturated fat, manage stress, and understand your estrogen metabolism and genetics. Consult with a functional medicine doctor to better understand how you can prevent breast cancer.